Have a peace of mind with DASH Symons Systems! DASH Symons Systems is an Australian owned and operated business that specialises in a wide range of security systems, including CCTV and alarm systems, as well as intercoms, gate automation and access control systems to residential & business customers. Broken, loose or cracked glass window and doors repair in Gold Coast, QLD. Amalgamated Glass is a leader in the glass and window industry, servicing a wide variety of customers from office buildings to homeowners. Our emergency glass repair and replacement service, available 24 hours a day! Call - 07 5598 3339 https://www. Whether you’re an off-road enthusiast, a weekend warrior, or just a city slicker, TJM Australia have all the gear you need to get your 4WD equipped. With over 40 year’s experience in designing and manufacturing 4WD equipment, TJM’s products and accessories are proudly manufactured to the highest quality standards. 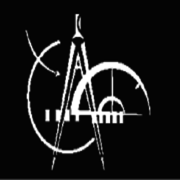 Archetype International provides Interior Design Drafting Services on virtual contract bases. With Archetype, we provide stunning photo realistic 3D at reasonable prices to grow your business and stay ahead. Visit here:-http://archetypeoutsourcing.com/services/. Do you have cats and dogs in Australia? If yes, protect your pets from worms and flea with simple and veterinary based flea treatment plans. Sign up today and get flea control plans delivered in just 2 minutes.. 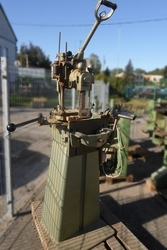 Type KF-30 In good condition Manual Motor 1, 7 kW Tiltable Chain width 18 mm Made in Denmark Transport dimensions 700х700х1800 mm Price without VAT. We are Gold Coast Private Speech Pathologists Offers the Literacy Speech Therapy for Children to optimize their skills in language. 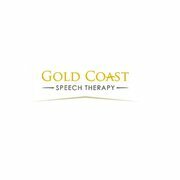 Gold Coast Speech Therapy providing various services like, Literacy Speech Therapy for Children, Speech Therapy Services for Adults and Children. We are the leading Speech Therapist in Gold Coast. Gold Coast Speech Therapy providing various services like, Literacy Speech Therapy for Children, Speech Therapy Services for Adults and Children. We are the leading Speech Therapist in Gold Coast. We providing supportive and accessible speech therapy services to adults and children on the Gold Coast. Resources Speech Therapy for Adults and kids. Children and Kids We help them to maximise their developmental potential. Gold Coast Private Speech Pathologists helps kids with language-related learning issues, such as speaking, listening and writing..
Vilma’s Quality Curtains manufacture different types of blinds such as Venetian blinds, Vertical blinds and Roller Blinds in our own Gold Coast workrooms with strict quality control. Call in and visit our showroom and watch curtains and blinds being hand made..
Ducted air conditioning systems. Using the air ducts, these units distribute cool, conditioned air throughout your home or office. When you choose Climate Control, you also get the benefits of our experience. We began selling and installing in the region in 1977, and we’ve completed many large-scale projects. We are Gold Coast Private Speech Pathologists Offers the Literacy Speech Therapy for Children to optimize their skills in language. We are the leading Speech Therapist in Gold Coast. We providing supportive and accessible speech therapy services to adults and children on the Gold Coast..
Based on the Gold Coastand servicing South East Queensland, we are a fully mobile service providingall aspects of marine maintenance including Antifoul procedures, PropspeedApplication, Osmosis Repairs, Sandblasting, Gel Coat and 2pac Repairs, Anodesand Detailing. Owner/Operator Joel Griffin has spent a lifetime working in theMarine Industry, from commercial fishing to Gold Coast charter boats and intothe hull maintenance industry. Robertson Air Conditioning provides Air Conditioning Split System Installation Gold Coast and also provides Supply, Maintenance and Repair services in Gold Coast, Company has Renowned name in Gold Coast and have more than 40 year of experience in air conditioning installation, repair and after sales services. Robertson Air Conditioning offer commercial and residential Air Conditioning Repairs in Gold Coast and also offers installation, supply, maintenance and repair services in Gold Coast. We are renowned name in Gold Coast and have more than 40 year of experience in air conditioning installation, repair and after sales services. Queensland based company offering welding and metal fabrication services, mechanical pipe work, milling and machining, sheet metal and cutting Queensland and Northern New South Wales wide. 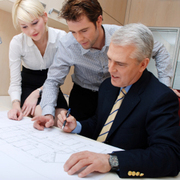 We also offer design, drafting and engineering services. Address: 4/37 Blanck St Ormeau QLD 4208 Email: darren@coolingtower. We are a premium dental practice located in the Sanctuary Cove area of Hope Island. We offer a range of dental services from general dentistry, to dentures, to cosmetic surgery. For an appointment, call our reception today on 07 5514 8106 Website: https://www.sanctuarycovedental.com.au/ Phone: 07 5514 8106	Email: reception@sanctuarycovedental. Gold Coast Boat Hire Pty Ltd offers self-drive high quality fishing boats for hire, and services the entire Gold Coast and Brisbane regions within smooth water limits.Smooth water limits include Currumbin Creek, Tallebudgera Creek, Nerang River, the Southport Broadwater, Wavebreak Island, South Stradbroke Island, Couran Cove, Tipplers, Jumpinpin, Coomera River, Pimpama River, Logan River, Jacobs Well, Southern Moreton Bay, Canaipa Passage, Russel Island, Peel Island, North Stradroke Island, and the Brisbane River. We are a multi-discipline Gold Coast law firm that has been at the helm of legal affairs since 1958. With our professionalism and in-depth understanding of law, we have earned a reputation of one of the most respected law firms in Gold Coast area. 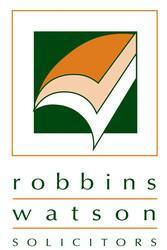 Visit us at https://www.robbinswatson.com.au/. Our mission is our passion to provide great services to our customers with high quality product Wedding Packaging Wedding Decoration Cloud – We have unique Wedding Packages each package are listed within our information pack - Please be assured that we are happy to manage the packages where possible – these are just a planned as a guide so if you have special requests to add or remove something, please don’t hesitate to discuss this with us. 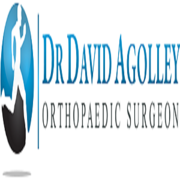 We are Gold Coast Private Speech Pathologists Offers the Literacy Speech Therapy for Children to optimize their skills in language..
Dr Agolley is an Australian trained Orthopaedic Surgeon, with fellowship training sub-specialising in Hip and Knee surgery. Interests include sports injuries of the hip and knee, and arthritis. Procedures include arthroscopy of the hip and knee, and hip and knee replacement including direct anterior approach hip replacement. Local & interstate DIY Furniture removals based on the Gold Coast NSW with over 40+ years experience. Servicing Gold Coast, Burleigh, Ballina and nearby area. 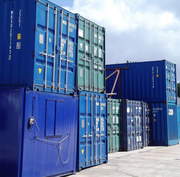 From Packing To Storage, We've Got The Right Solution Near You. Call the experts - 07 5598 1400 Book online - https://www.goldstarremovals.com.au/. For top class and cost effective air conditioning services in Gold Coast visit Robertson Air Conditioning. We are a renowned name in Gold Coast area for AC installation, supply and maintenance services. Our experts have more than 40 year of experience in air conditioning installation and after sales services. 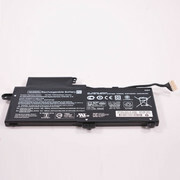 35Wh 7.7V NU02XL Li-ion Laptop battery is made from the highest quality cells and parts. The NU02XL is designed to meet or exceed original equipment specifications. Shopping with us is safe and secure! 100% Guarantee Quality and Fully Test! Pack for HP HSTNN-UB6U TPN-W117 843535-541 Series Capacity：35Wh Voltage：7. Gold Coast ads Gold Coast, All categories classifieds Gold Coast, All categories free ads Gold Coast, ads for sale Gold Coast, ads to buy Gold Coast, FREEADSAustralia Gold Coast Page number 9-1. 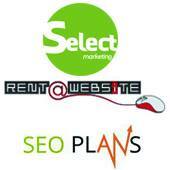 Find here ads for sale, to buy and rent in Gold Coast. Goods for sale in Gold Coast, vehicles for sale in Gold Coast, Gold Coast real estate for sale, Gold Coast property for sale, property for rent in Gold Coast, business ads in Gold Coast, Gold Coast business classifieds, services in Gold Coast, Gold Coast services ads, jobs in Gold Coast, pets for sale in Gold Coast, Gold Coast dating, Gold Coast cars for sale.